Ekiti Rebirth Organization (ERO), the campaign outfit of All Progressives Congress (APC) governorship aspirant, Senator Babafemi Ojudu, has condemned the disruption of Saturday’s APC governorship primaries by thugs allegedly loyal to one of the aspirants. Spokesman of Ojudu’s campaign, Gboyega Adeoye described the invasion of thugs as the highest level of desperation in anybody’s quest for political office. 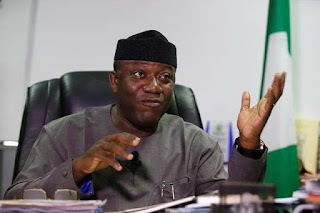 Adeoye, in a statement released to newsmen, accused the Minister of Mines and Steel Development, Kayode Fayemi’s camp of being behind the disruption of the election process. The statement reads, “When they said they were going to cripple the state, we did not know what they meant was to attempt to forcefully hijack the ticket. “Now that we know better, we assure they will meet stiff resistance from our people. 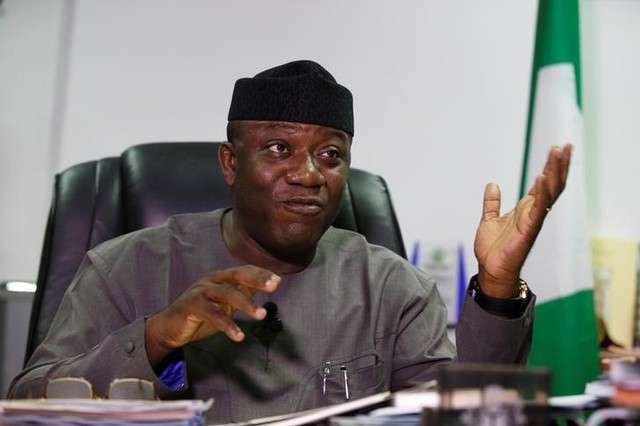 “The gubernatorial primary was going on smoothly and the delegates were already casting their votes before thugs allegedly loyal to former governor of the state and current Minster of Mines and Steel, Dr Kayode Fayemi, smashed some ballot boxes leading to the disruption of the process. “The pandemonium that ensued snowballed into serious fracas that caused every delegates scampering for safety and an abrupt seizure in the voting process. “Ekiti State has been under siege preparatory to the primaries as ferocious looking armed mobile policemen that came in company of the Minister, seized all the major streets for days, in reckless display of show of oppression and terror. “Dr Kayode Fayemi during his declaration vowed that he was ready to use every underhand means to secure the ticket but our people have come out to say a resounding NO! No amount of intimidation, brigandage and crude display of wealth will stop the people’s will to install a fresh hand in our state. “We are ready for Fayemi, we have always campaigned for a transparent primary eection because we have the people on our side.